Today was Day #5 of Chocolate and Umami or Bacon Theme Week. 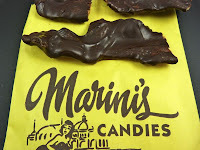 For dessert: two strips of crispy, oven-baked, hickory smoked bacon smothered in dark chocolate from Marini's Candies (Santa Cruz, CA). 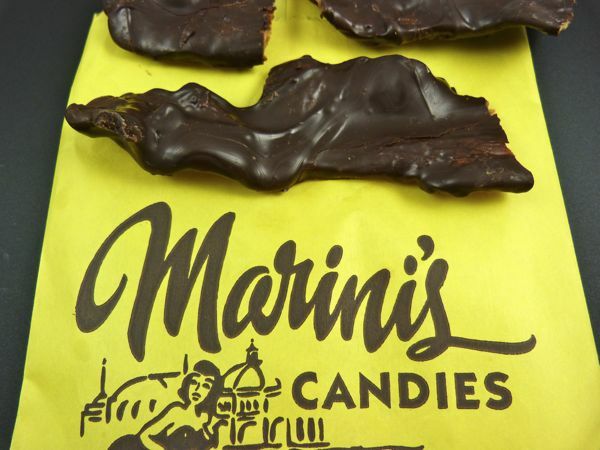 Marini's also offers Vegan's Nightmare ice cream (with bacon). Soon I'll return to single origin dark chocolate bars. But, this week, I've been enjoying these other fun, creative combinations.